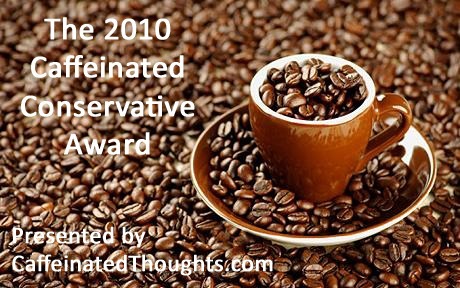 Caffeinated Thoughts is presenting its 3rd Annual Caffeinated Conservative Award. Governor Palin who won in 2008 and 2009 has been nominated again. You can help her win the 2010 award by voting at Caffeinated Thoughts or directly on the Sodahead poll. Ron Paul right now is ahead by a sizeable margin, but voting is open until 11:00p (CST) on 12/30/10. Shane Vander Hart is the editor of Caffeinated Thoughts and Caffeinated Theology. Feel free to follow him on Twitter or friend him on Facebook, he loves connecting with fellow rogues.